HomeThe Trailmaster BlogHike on USC! 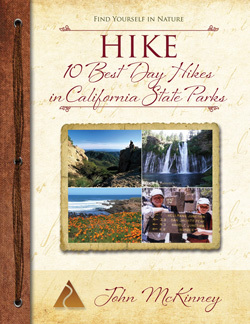 I’m sure I’m the only hiker who associates USC with hiking. Fight on and Hike on USC! Students with Trailmaster John McKinney (far R) show the school colors atop Echo Mountain. Trojan fever is a fever pitch whenever The Big Game with crosstown rival UCLA approaches and continues through the Bowl season. As a Trojan alum I’ve got football on my mind, too, and there’s no secret who I’ll be rooting for: Go Trojans! No doubt my studies in American Literature and Broadcast Journalism at the University of Southern California did prove to be somewhat useful to my life’s work; more so were my collegiate extracurricular activities. 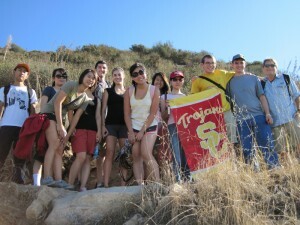 I helped found and lead hikes for what we called the USC Hiking Club. We loved exploring the nearby trails, enjoying nature and getting to know each other—on the trail and off. 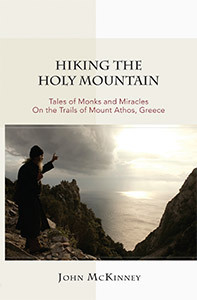 The post-hike gatherings with my fellow hikers, when we talked about our next hikes and where our life paths may lead, I remember even now. Some of those friendships endure to this day. The opportunities to get off campus and into the great outdoors are many and varied and much better today than they were for 20th century USC students: more parklands, closer nature preserves, better and more intriguing trails. 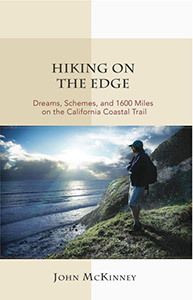 A couple years ago I wrote a little book for the USC community called “Hiking 101: Great Trails and Beach Walks Surprisingly Close to USC.” It includes a trek to the Hollywood Sign, a walk along Malibu Beach, hikes to waterfalls and wildflowers, and climbs of local peaks such as Echo Mountain in the foothills of the San Gabriel Mountains. I’ve enjoyed taking USC students on hikes and giving the occasional talk on campus: “Connecting with Nature.” What bright, energetic young people!